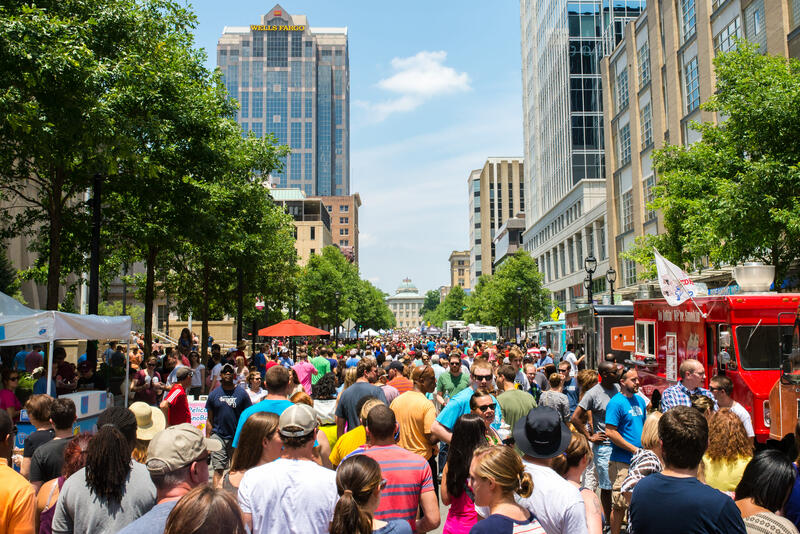 Brewgaloo features craft breweries from N.C. and partners with local food trucks, local vendors and local bands. Friday night will be a sampler event from 6-10pm. Tickets are $45 per person with a limited number of tickets being sold. Sample size pours will be available for you to try the best of N.C. Must be 21 and up to attend the Friday night event. Designated Driver's need not purchase tickets, thank you for being responsible! Saturday is 2-10pm. Beer is sold by the pint or the taste. Samples are one ticket and full pints are five tickets. No admission fee to enter the festival. Saturday's event is open to the public and free to attend. Saturday will feature over 75 N.C. Breweries, over 50 Food Trucks, dozens of local vendors and bands. Drink tickets will be sold in advance and available for purchase at the festival. Food trucks and vendors accept cash and credit options. Drink tickets purchased in advance will be mailed to the buyer the week before the event. Purchase now to avoid lines!